Different investors use moving averages for different reasons. Some use them as their primary analytical tool, while others simply use them as a confidence builder to back up their investment decisions. In this section, we'll present a few different types of strategies - incorporating them into your trading style is up to you! 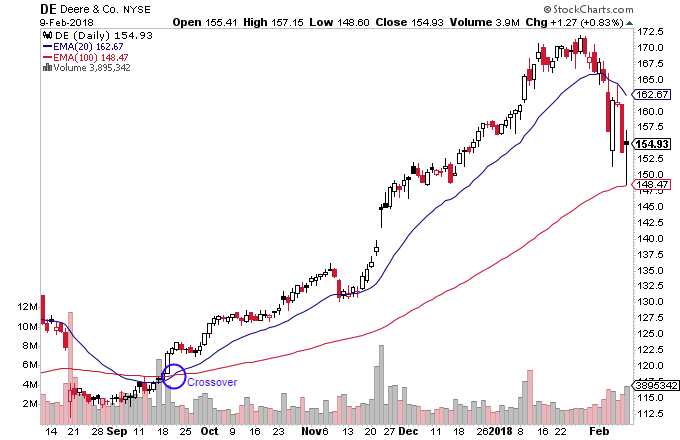 Additional moving averages may be added to the chart to increase the validity of the signal. 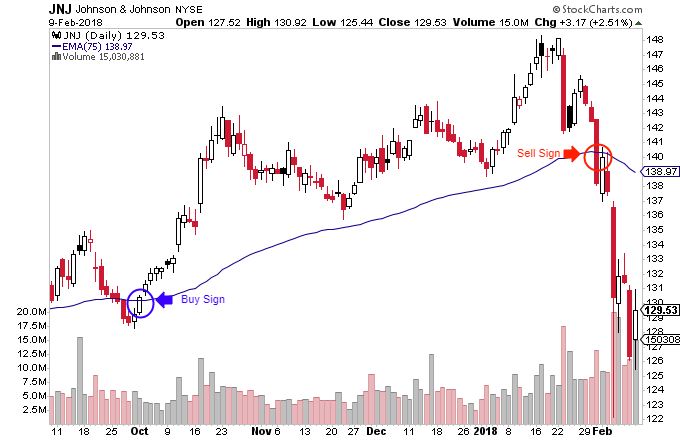 Many traders will place the five-, 10-, and 20-day moving averages onto a chart and wait until the five-day average crosses up through the others – this is generally the primary buy sign. Waiting for the 10-day average to cross above the 20-day average is often used as confirmation, a tactic that often reduces the number of false signals. 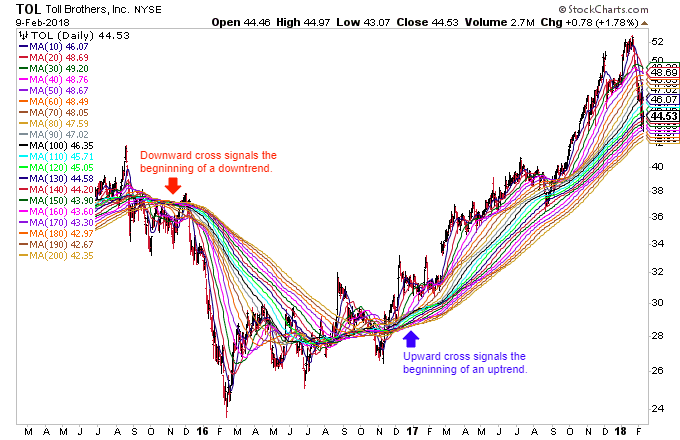 Increasing the number of moving averages, as seen in the triple crossover method, is one of the best ways to gauge the strength of a trend and the likelihood that the trend will continue. Responsiveness to changing conditions is accounted for by the number of time periods used in the moving averages. The shorter the time periods used in the calculations, the more sensitive the average is to slight price changes. One of the most common ribbons starts with a 10-day moving average and adds averages in 10-day increments up to the final average of 200. This type of average is good at identifying long-term trends/reversals. The moving average (MA) is a simple technical analysis tool that smooths out price data by creating a constantly updated average price. 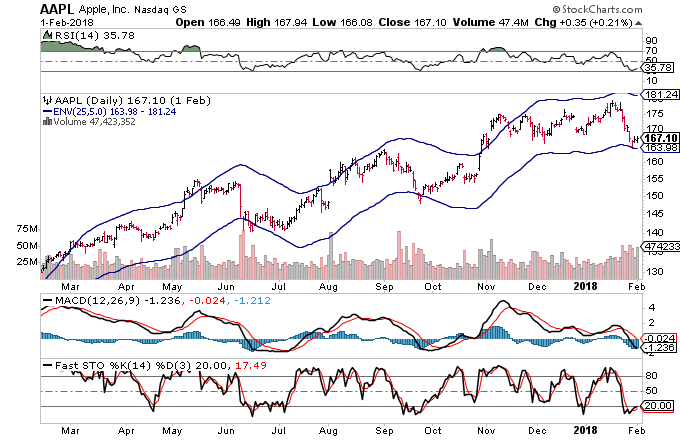 Sell signals on the charts of key assets suggest that the financial sector could be setting up for a move lower. Traders can benefit from experimenting with envelopes trading, such as the moving average envelope, which helps spot trends after they develop. Do Adaptive Moving Averages Lead To Better Results? These complex indicators can help traders interpret trend changes, but are they too good to be true? Based on the charts discussed in this article, commodities could be readying for a long-term move higher.